This will be a quick one! 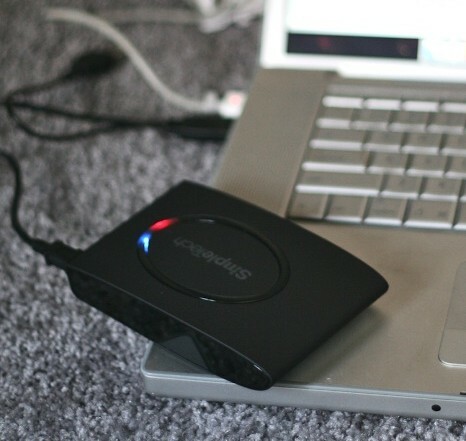 What we have here is a dead-simple, compact 500GB external USB hard drive. To be honest there’s very little else to add. That won’t stop me from making you click through to hear about it, though. The SimpleTech Mini drive from Fabrik is made with two things in mind: compactness and simplicity. As you can see, it’s almost featureless; the drive is powered through USB so no extra cords are needed. You’ll notice the cord has two terminations, which is necessary if one port doesn’t provide the power necessary (I didn’t encounter that on my desktop or laptop). It’s a bit weird, but a regular non-forked cable worked just fine. 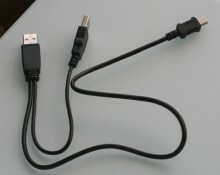 I’m guessing that on a netbook or something with a similarly low-wattage power source, you’d need the double-USB thing. The styling is very understated and attractive; it has a smooth, velvety surface not unlike that of a Razer mouse, and its torpedo-like profile has no major logos or flourishes. There are two little indentations near the front, which beg to be grasped, although I don’t know who would want to carry it with a pincer grip like that. The bottom has little rubber ridges so it doesn’t slide — it was rock solid at a 45 degree angle. 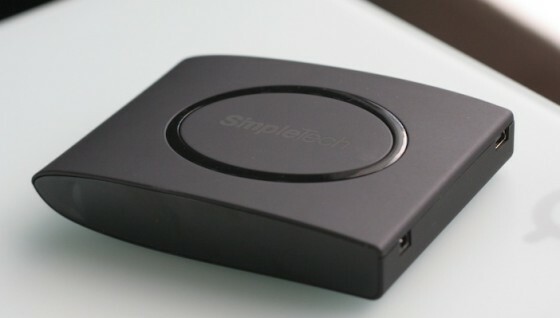 The SimpleTech uses a 2.5″ HDD, and costs about $130-$150 right now. You can get more spacious drives for the same price, of course, and cheaper, but they use 3.5″ HDDs and are generally quite a bit more bulky (see my old WD external in the pic there). 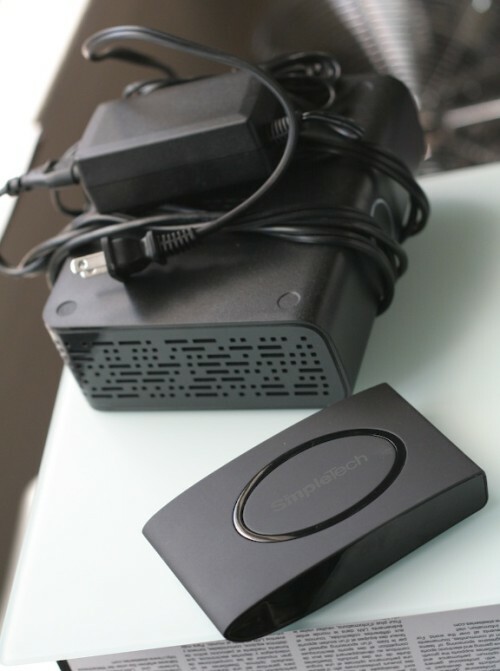 You’re paying for portability here, and the Simpletech succeeds on that front. Personally, I wouldn’t buy a 3.5″ external these days, since you really want to have a few internal 3.5″ ones for long-term storage and a good 2.5″ external for convenient travel storage. The Simpletech is a great option for the latter.